As part of Advantexe’s work in the area of Strategic Business Selling, we have the opportunity to work with many different types of sales professionals ranging from high-tech sales to managed care pharmaceuticals sales. Recently, I have noticed a disturbing trend where sales professionals have been “adjectifying” price in their conversations with customers. As we all know, price is often a primary driver of decision making for most customers; however, there is something called the value dashboard that a customer uses to make a final decision and the other elements of the value dashboard beyond price play a part in the entire value proposition. Levels of service, product quality, product availability, brand, are just a few of the other possible elements of the value dashboard. 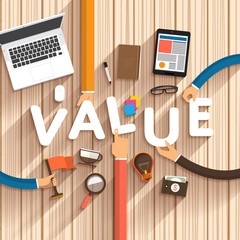 The issue here is that by focusing too much on price by placing a strong adjective in front of it, you are separating price even further away from the other elements of the value dashboard which make the full value proposition. Business professionals around the world need business acumen skills to thrive and survive. One of the many elements that incorporates the competency of business acumen is the ability to utilize business economics skills to assess and understand markets. Super Bowl Marketing: Did it Deliver on their Value Propositions? The Super Bowl is now an old memory. The food has all been eaten and most fans of football are already looking toward the new season. In other words, the Combine starts next week! It was not a typical day for me. For one, I woke up in my own bed for the fifth consecutive day in a row – the first time I have done this since last January. Second, I was thrilled to know that I had a morning meeting with my friend, colleague, and our Chief Simulation Officer, Eric Pressey, to finalize the design of an exciting new business simulation. Besides being the smartest person I know (I first met him in September of 1979 when we were both freshmen at the University of Pennsylvania), Eric is also an incredible foodie and we can spend hours talking about our favorite meals past, present, and future. And third, I was really excited to brainstorm with our summer interns on new ideas for the blogs we publish on a weekly basis.